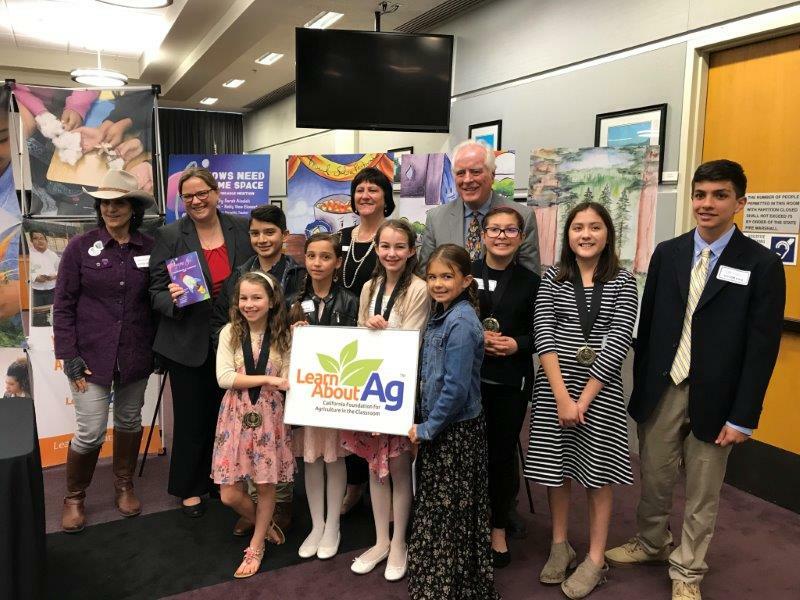 CDFA undersecretary Jenny Lester Moffitt (back row, second from left) appears at an event honoring student authors with Ag stories published in this year’s edition of “Imagine This,” which was released this week. The annual publication is presented by the California Foundation for Agriculture in the Classroom (CFAITC). Joining Undersecretary Moffitt are CFAITC board member and Sacramento restauratuer Bobbin Mulvaney (far left), CFAITC executive director Judy Culbertson, and board member Rick Phillips of JR Simplot. More information about the students and their stories is available here.